Tools; cut stringing material, cut chain, or any items sold by the foot; seed beads in tubes or packages; earwires; Beadhive pre-made earrings; magazines; Soft Flex; Fireline; and clearance items. 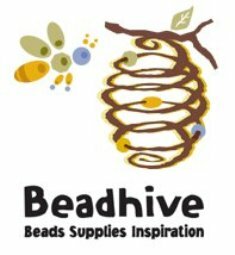 "Beadhive Favorites" and "Step Up" Classes: Students receive 10% off their entire purchase day of class! Please show up at least 15-20 minutes before your class time to pick out your supplies. Scheduled class time does not allow for the time to select your beads. You must register for classes in order to attend, even the free ones! Register at Beadhive or call 612-823-1112. We accept cash, all types of credit and debit, and personal checks with a valid Drivers License. Class cancellations made 72 hours previous to the day class is scheduled will receive your choice of a full refund, class credit, or store credit. (Example: If a class is on Thursday, you would have to cancel by Monday.) Cancellations made after 72 hours will receive a class credit only; however, cancellations made the day of the class will not receive a credit or refund. If you want to send someone in your place, please call the store. If you are a no show for your class, you will not receive a refund or an additional class date. Honey Money does not accrue for class registration fees. Honey Money cannot be used to pay for a class or discounted class supplies. Coupons cannot be used to pay for class supplies or class fees. Offers cannot be combined.